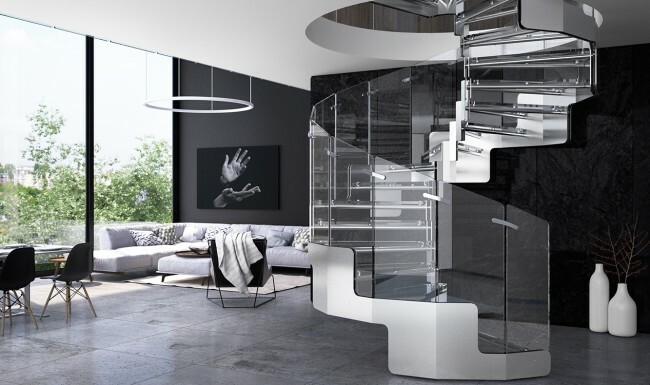 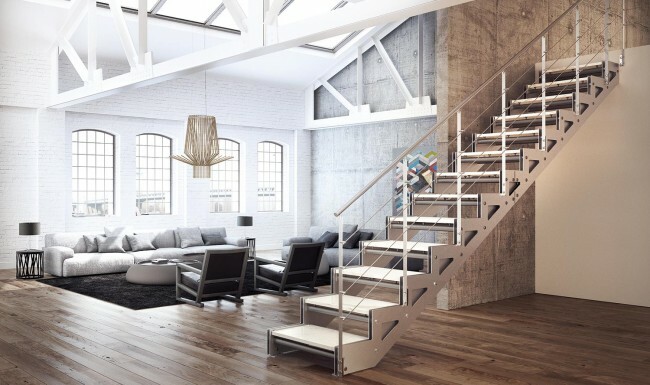 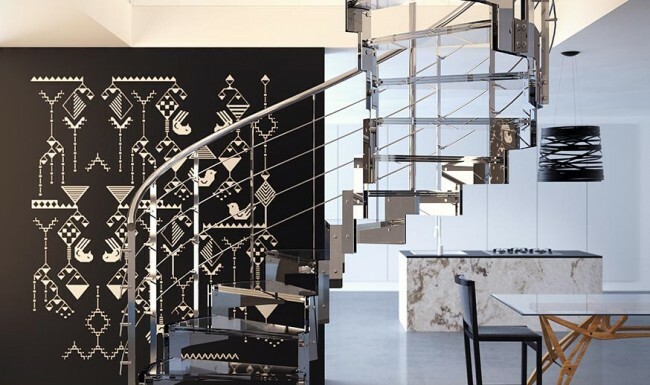 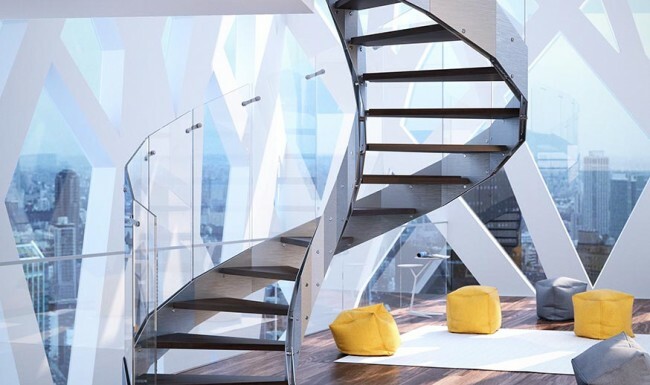 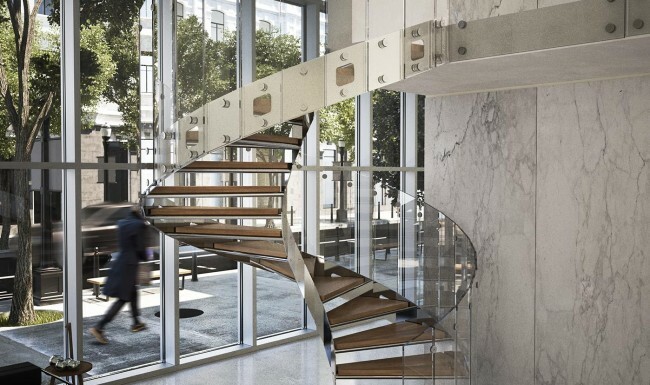 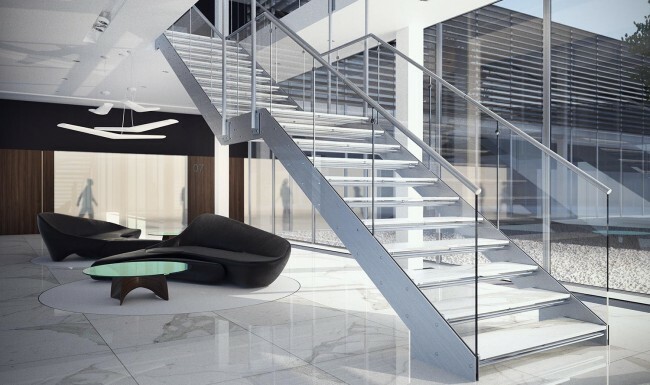 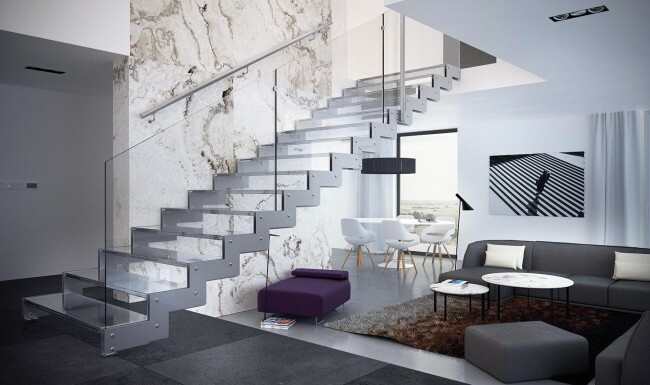 The entire collection of “steel staircases” is characterized by an essential design and a modern concept, all exalted by a material that’s become part of our everyday lives, our possessions, and our surroundings. 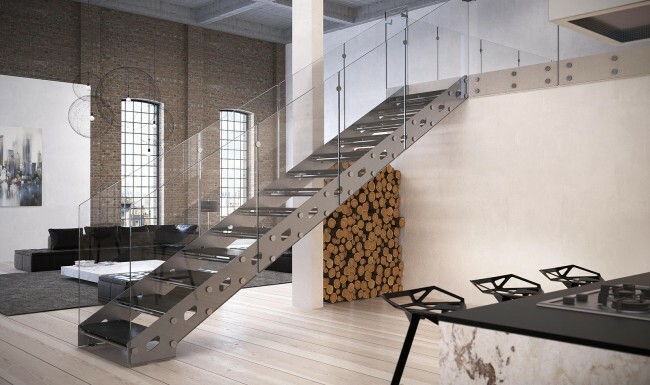 But it is precisely due to its technical features that steel also represents an interesting contrast element to “warm” materials like wood, as well as cold materials like stone, which is nevertheless “alive” with streaked layers and colours. 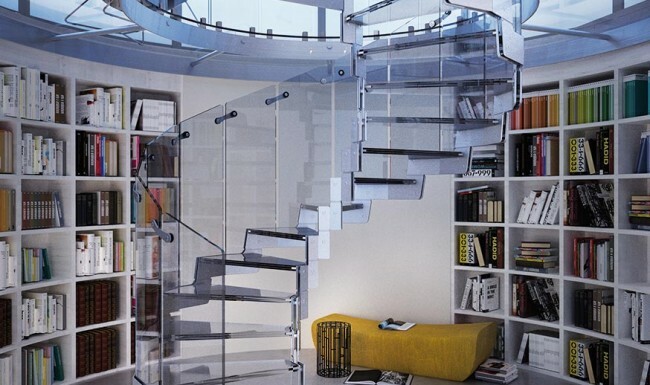 Steel can even be combined with glass to create a lightweight effect using transparent, coloured, and stained glass elements. 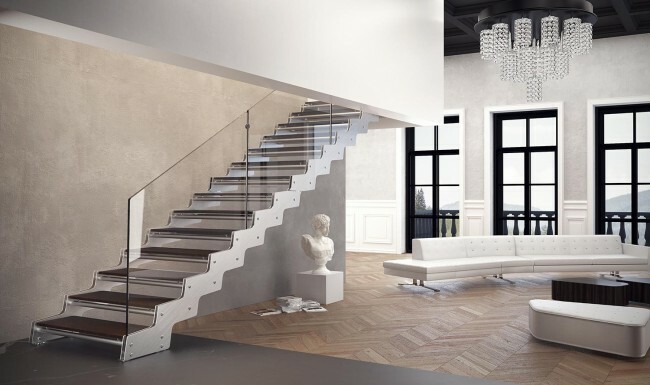 For this reason, even classical interiors can be ideal settings for modern “designer staircases”, with the polished or brushed finish of the steel itself providing for surprisingly elegant results. 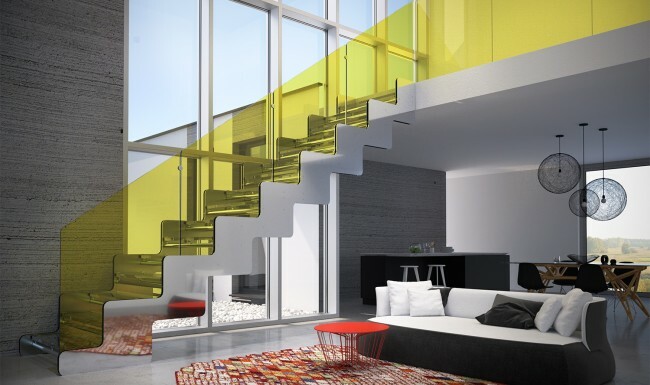 The product range is even available in “eccentric” colours, like yellow, turquoise, red and more. 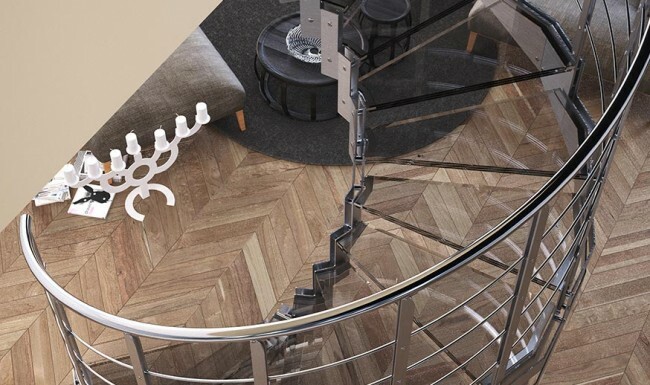 Customers can even choose custom RAL colours. 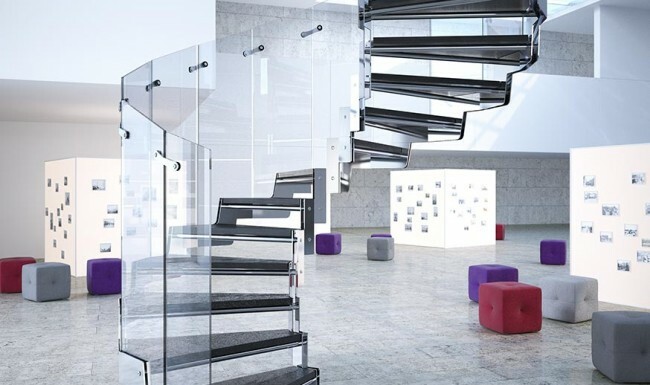 This allows for the creation of new and innovative aesthetic solutions. 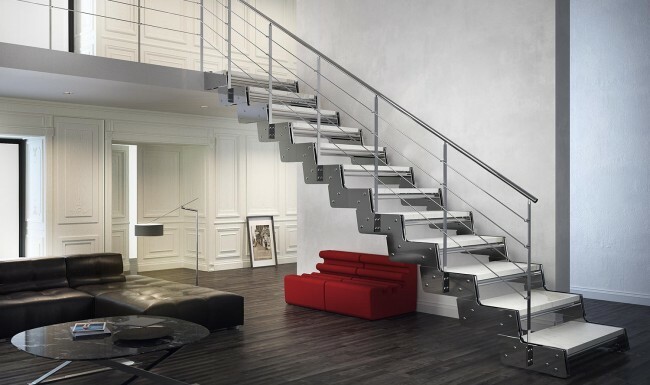 Thanks to their technical features, our “steel staircases” are ideal for both public and residential use, and are supplied complete with structural certifications.